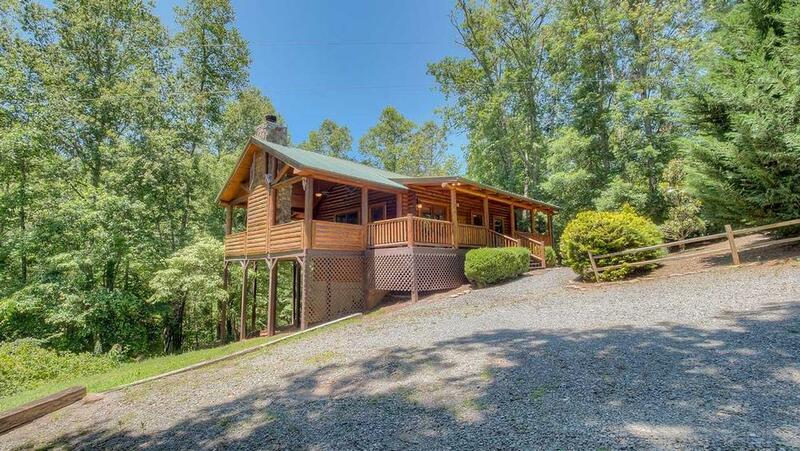 Lake Walk is a lovely home with an unassuming, but classic cabin exterior and a luxuriously romantic interior. 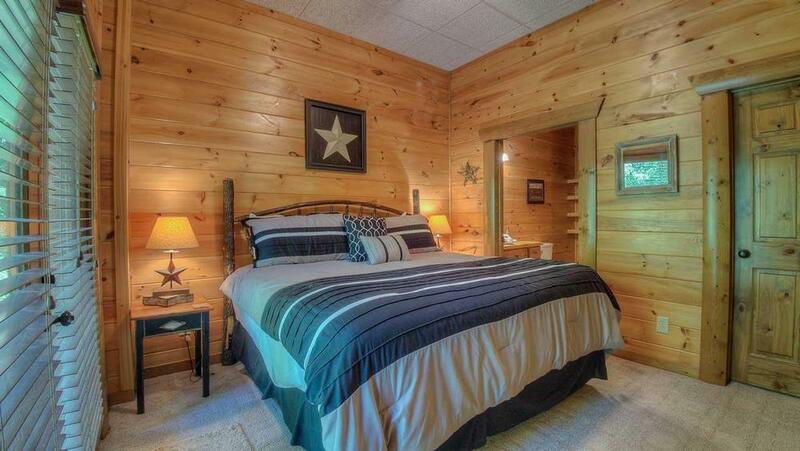 This cozy two bedroom log cabin is decidedly upscale and makes for a perfect getaway. 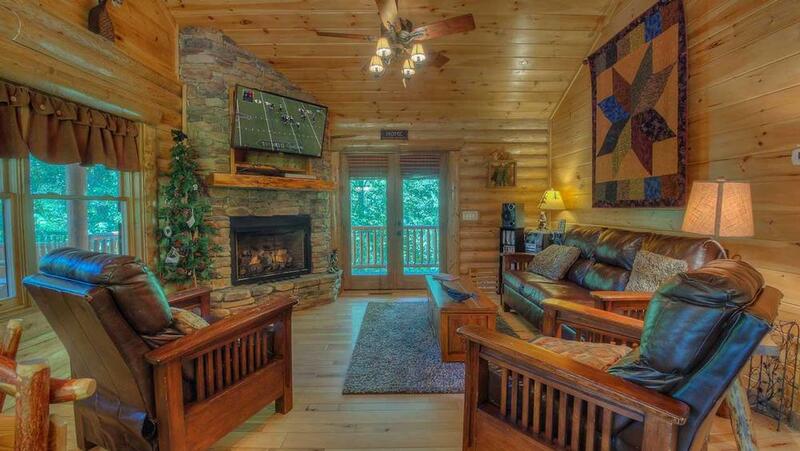 Nestled in the popular Aska Adventure Area in Blue Ridge, Georgia, this true log cabin is just down the road from the town of Blue Ridge and sits on acreage overlooking a small stream that flows to the Toccoa River. 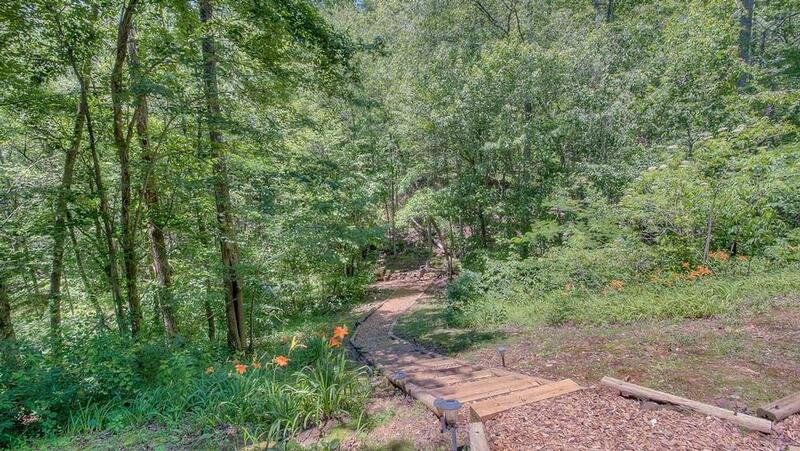 Follow the enchanting brook down the property and find yourself just steps away from Lake Blue Ridge and its boat ramp. Enjoy all of the abundant lake fishing and boating activities or take a short stroll over to the hiking trails that run along the shoreline. 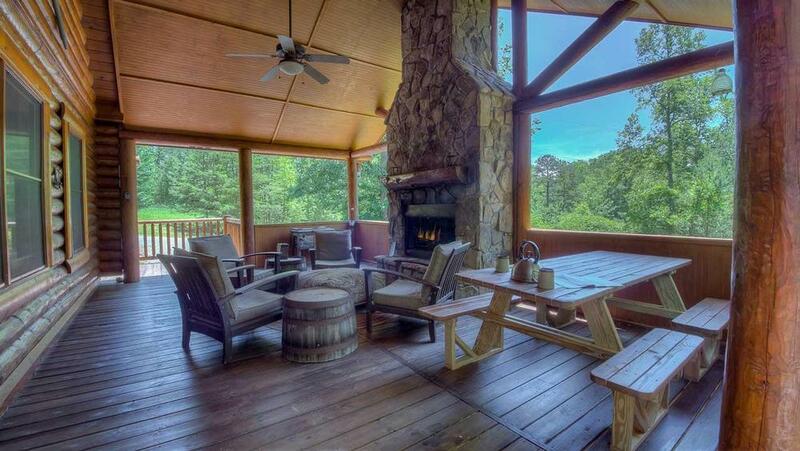 LakeWalk offers plenty of its own outdoor options with a unique outdoor living area complete with a wraparound porch, rockers, swings and a gorgeous rock fireplace on the deck. This outdoor space was devotedly designed to fully appreciate the property's tranquil views and the sounds of its brook's trickling waters. 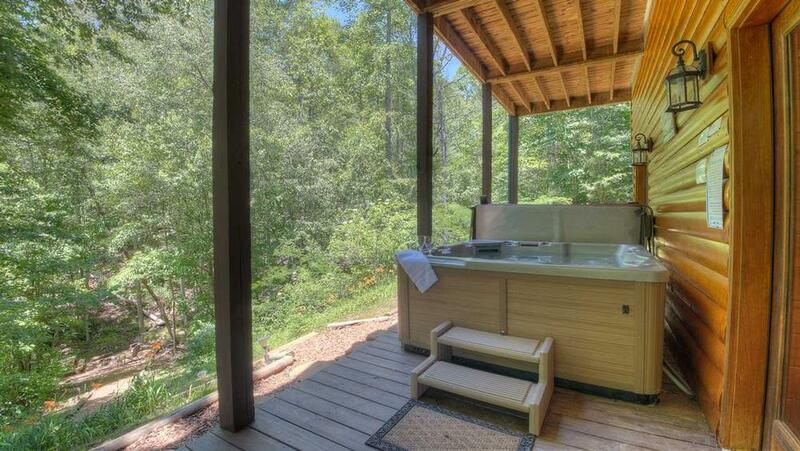 Here, the six person hot tub is also set for you to enjoy the calm, tree-filled natural setting. Inside this authentic mountain log cabin, you will find another rock fireplace and rich chocolate brown leather furniture. Tastefully decorated, the living area is cozy yet airy with its light pine wood floors and walls. The high-end kitchen was created for the gourmet to enjoy and outfitted with stainless steel appliances and stained wood cabinetry in earthy green. A lovely dining room table invites candlelit dinners. A flat screen HDTV/LCD can be viewed from every point in this main space for your favorite classic romance film. Needing a little competitive recreation to spice things up? 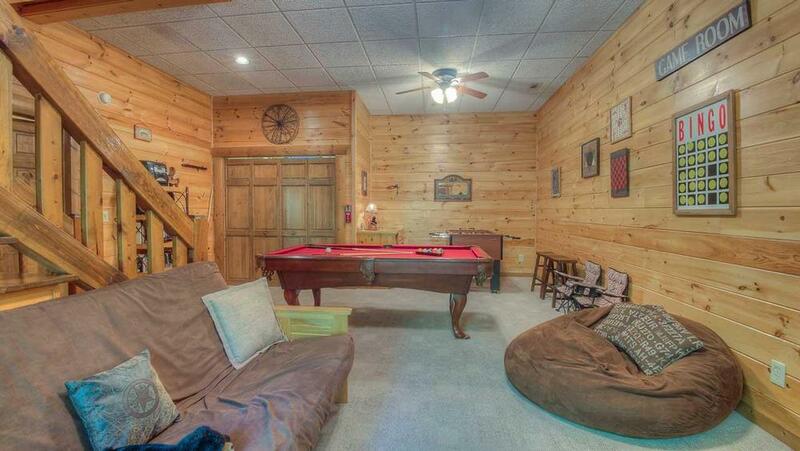 Enjoy a game room equipped with a billiards and foosball table. A Wii console along with another LCD TV is also just steps away from a six person hot tub. 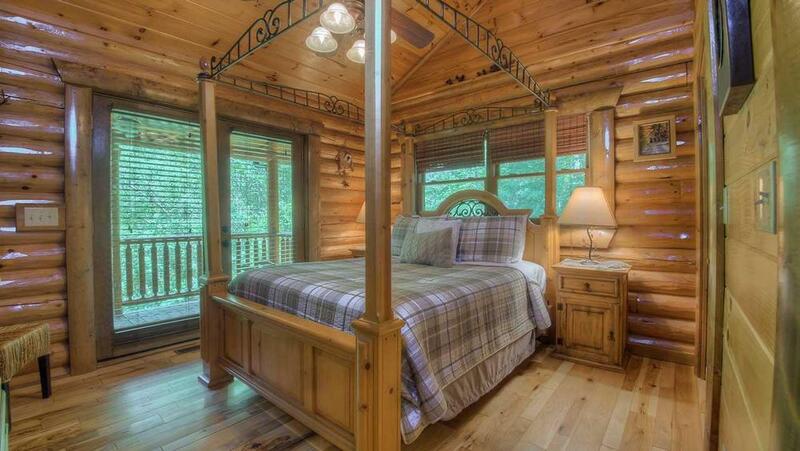 This Blue Ridge mountain cabin offers plush and inviting bedrooms; one with a king size bed and another with a queen size. Both are top of the line pillow top mattresses dressed in high thread count linens. A futon is also available in the game room. 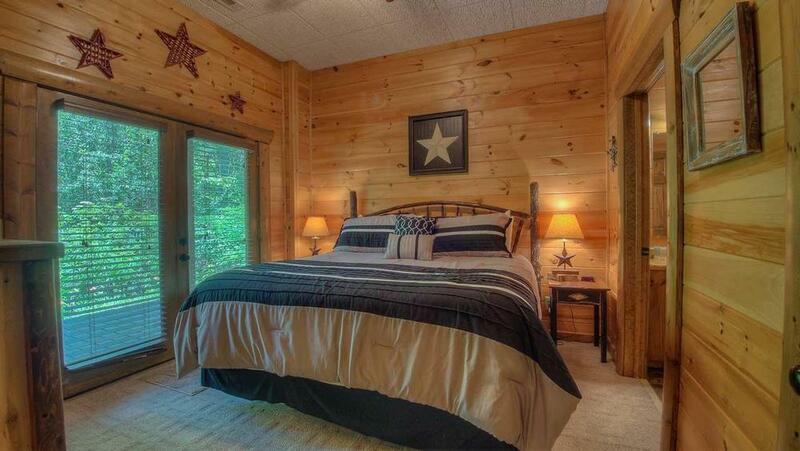 LakeWalk offers loads of luxury not typical for a two bedroom cabin. Here you'll find unique upgrades including copper sinks, slate bathroom floors a wet bar in the game room, and unique lighting and fireplaces that set a dreamy mood. Let LakeWalk reveal the romantic in you and let the flow of the gentle waters and nature that surrounds it take you away. 02/19 - Loved everything about it the cabin! Great company! 01/19 - I liked the setup of the home and how you can all be in the same house but have your own space. 01/19 - Enjoyed the solitude of being out in the woods, the outdoor fireplace and being close to town. We love Escape to Blue Ridge. Have used your company a few times and have had good experiences. 11/18 - It was beautiful and felt so homey. Would love to have stayed forever. Very easy company to deal with and just wonderful. 11/18 - The house was clean and had great decor! Loved everything about it! I really like the company. Everything was easy and simple. We received everything we needed and they were very accommodating. I loved the swag bag as well! 10/18 - Everything was immaculate. One of the most professional,customer friendly, courteous, and accommodating companies I have ever encountered. 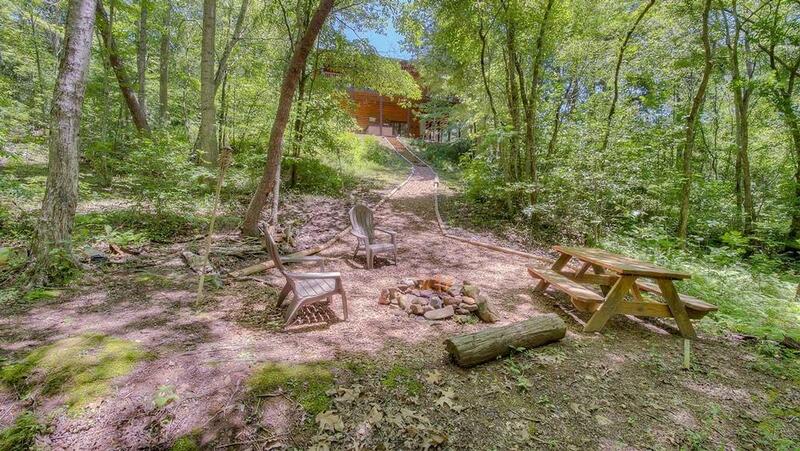 10/18 - Loved the outside fireplace. Glad u r there for Cabin rentals! 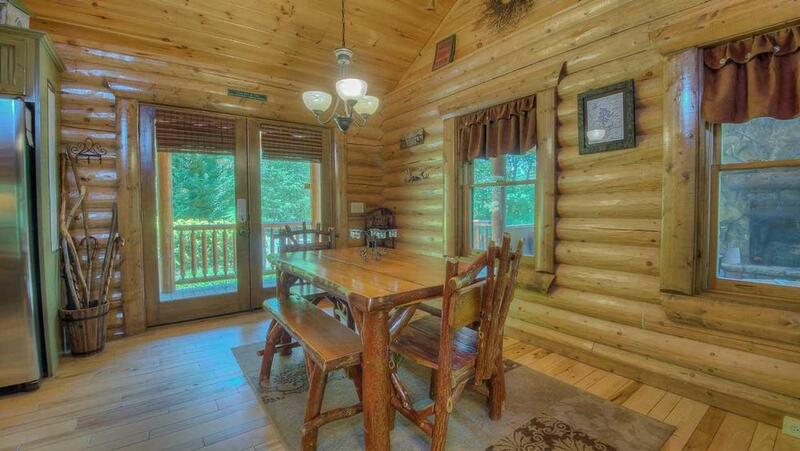 10/18 - Great amenities - a very nice cabin. EXCELLENT COMPANY. THANK YOU!!!! 09/18 - Warm, welcoming, clean. Good location. The patio was my favorite. Always an amazing experience. I have rented multiple times. Website is easy to navigate and find the cabin that meets your needs. Staff is friendly and accommodating. Every cabin has been different, but amazing. Will be renting again. 07/18 - It was a very nice log cabin style home which is what we were looking for. We had hoped for a view, but it was still very relaxing and quiet. The game room/pool table was fun for our older children. Overall, the staff was nice and very helpful. 07/18 - The space and game room were nice. 06/18 - Very comfortable and welcoming. Enjoyed the multiple porches and scenery. We were able to relax and feel at home. 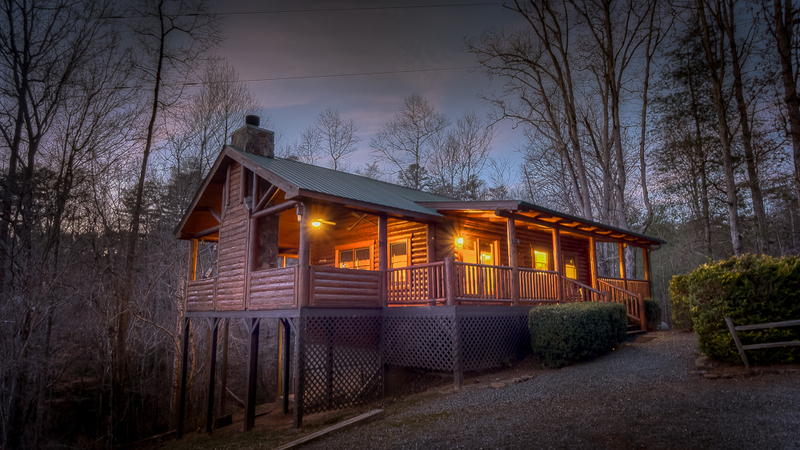 We thoroughly enjoyed our stay and will highly recommend Escape to Blue Ridge cabins! 06/18 - Very clean and impressive property. Very friendly and helpful staff! 04/18 - I liked everything about the cabin, especially the space and all the amenities of home. The peaceful environment. The company was very professional and I definitely will be patronizing again. 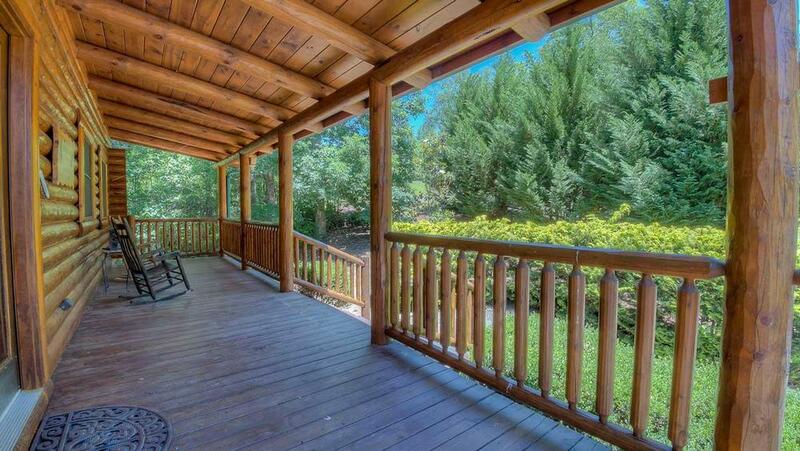 05/18 - Great location, beautiful home, very relaxing. Great company - immediate call back when reservation submitted online. 4/18 - The location was beautiful and the house so cozy and comfortable. Just as it was pictured. Excellent. I was very happy with our cabin and the staff. 2/18 - Everything was perfect. 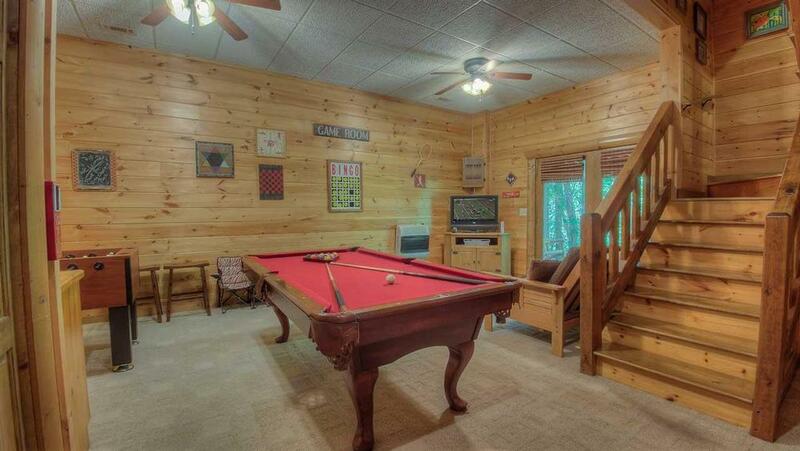 From the hot tub to the game room to the tools provided in the kitchen. The ease of making reservations and receiving the information for the cabin via email was amazing. 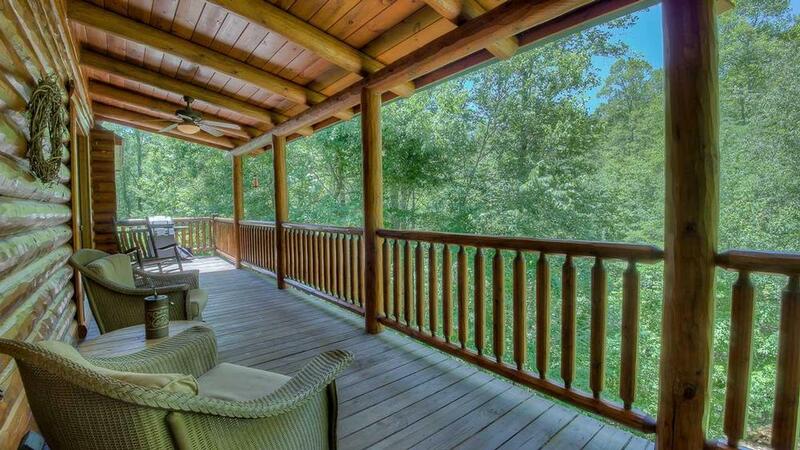 10/17- Location, porches, all the beautiful wood! High level of friendliness and very customer oriented representatives. 10/17- Spacious, cozy and homey! !Ì¡åÙå÷å� Awesome company and phenomenal staff!! 09/17- Just enough space for two couples. Great!! 08/17- It was quiet and relaxing. Very satisfied with the service. 08/17- Enjoyed the hot tub and the pool table. 08/17- Every chair was comfortable, there were some extra beach chairs available, and the HVAC worked very well. Very communicative, good directions, made the trip easy. The cabin was great. 08/17- The home was very clean and neatly decorated with cabin decor. We very much enjoyed the pool table, and hot tub. 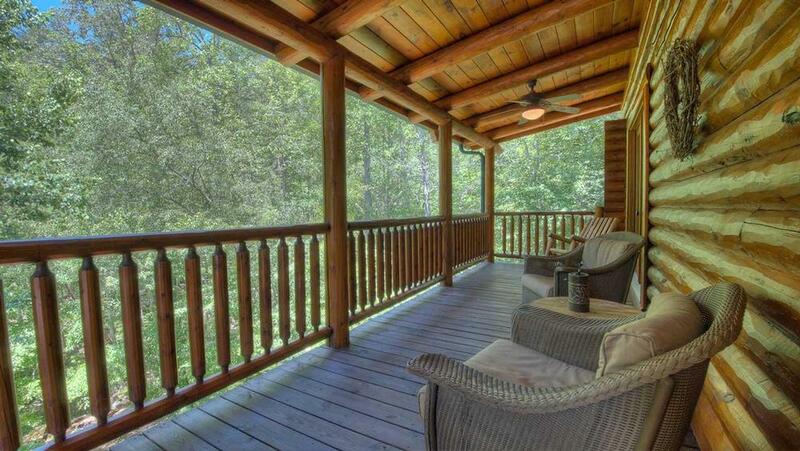 The large porches were nice for early morning relaxing. The company was both very organized and professional. 07/17- Loved the setting & location. 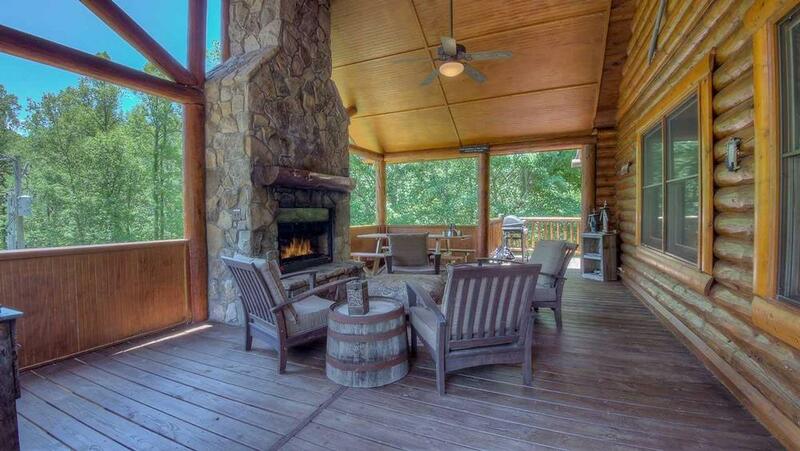 Really enjoyed the porch & outdoor fireplace. So relaxing & beautiful. You guys were awesome! Will def use u guys again! 07/17- We enjoyed the deck with the fireplace and the kids liked playing foosball and pool. 06/17- Perfect home for two couples. Conveniently located to Blue Ridge. 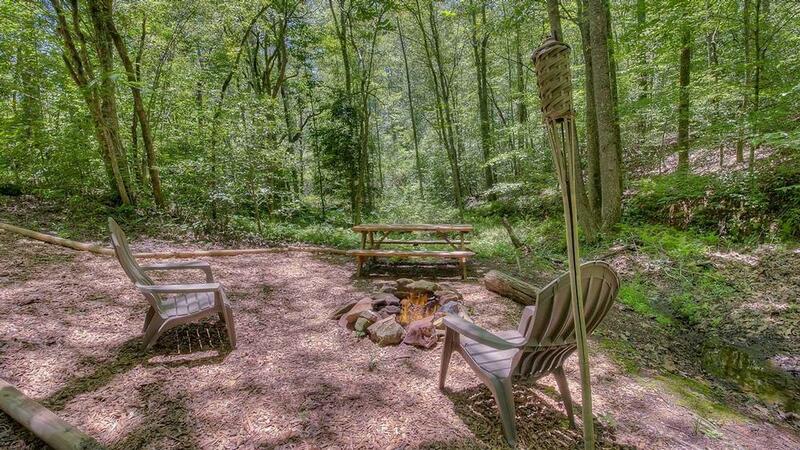 Escape to Blue Ridge was very professional and made everything easy and enjoyable. 05/17- Locality,everything is within minutes from the cabin. 04/17- Liked the location and the book that shared the local things to do. I was very satisfied with your people as when I called about the frying pan the young lady was going to send out a new one. Thank you for a great week! 04/17- The cabin was clean and prepared for our arrival. 01/17- Several upgraded furnishings and accessories, nothing basic about it! Everything we could have asked for was readily available. Really thorough (and user-friendly) instructions for TV, fireplace, and other related uses. Great idea of having all light/fan switches labeled! Escape To Blue Ridge was incredibly helpful in scheduling our cabin rental. I even booked last minute, and they still were able to accommodate what I was looking for. They communicated well in regards to resources available to us, scheduling on checking in and out, security, and all other aspects of our trip. Thanks again! 01/17- The cabin was very nice and clean. We enjoyed the location and all the games and the fireplace. 12/16- It was quiet and relaxing at the cabin. Very professional company. 10/16- The house was in a great location. It was a perfect size and layout for us. The outside decks are fantastic. I'm happy with the company. 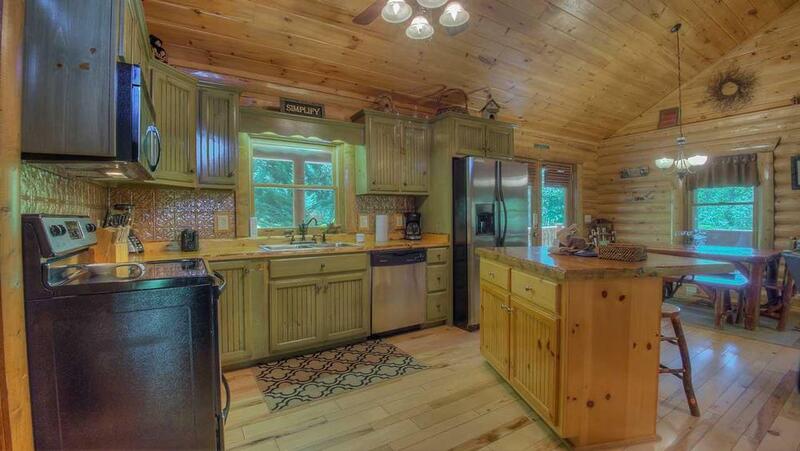 You have a really great selection of cabins for any price range. Very helpful staff. 10/16- This was my second time renting this particular cabin. 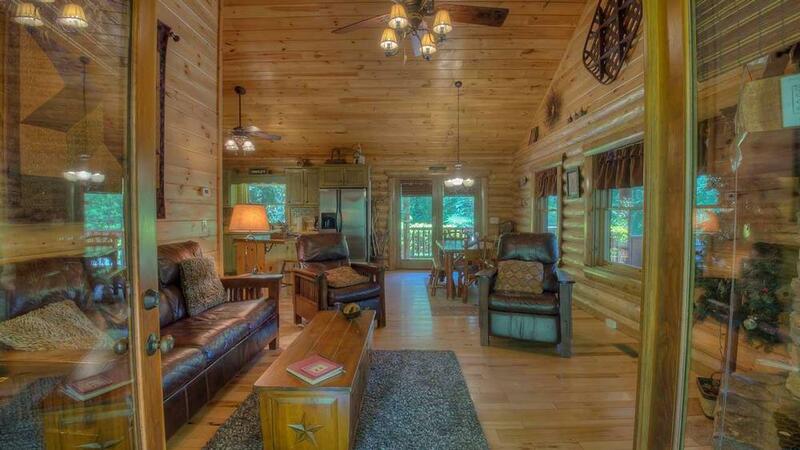 I like the homey atmosphere, makes it so much more relaxing and I will rent that cabin again.. Awesome company. 09/16- The house was beautiful. Comfy and homey. Close to town. The staff were very kind and helpful. 08/16- Loved the outdoor gas fireplace, the pool table and the spa. It was everything we could have hoped for and more. We will definitely use Escape to Blue Ridge again and have already recommended to friends and family. 07/16- I did like the location and size of the home. It was just right. It had all necessary features for a comfortable stay. 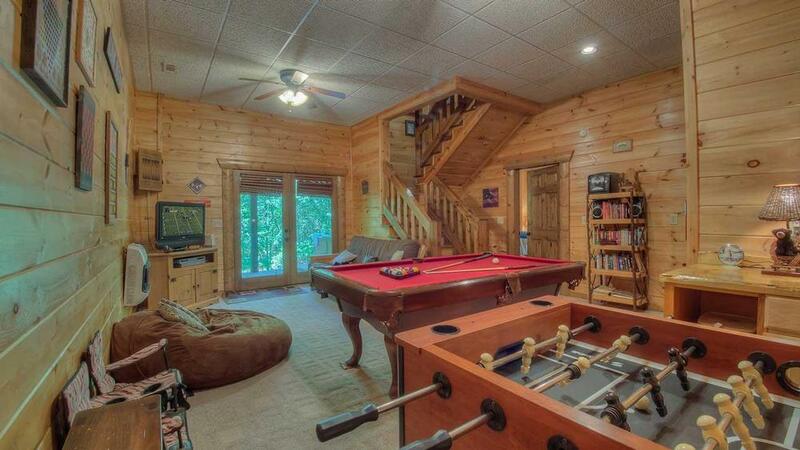 07/16- Beautiful home, game room is great. In the fall, the outdoor fireplace will be awesome. 06/16- We so enjoyed the seclusion and peacefulness. 05/16- We really enjoyed the outdoor fireplace and porch, we spent many a night looking at the stars. Also enjoyed the pool table, TV and internet. It is very close to town, without feeling like your in town. 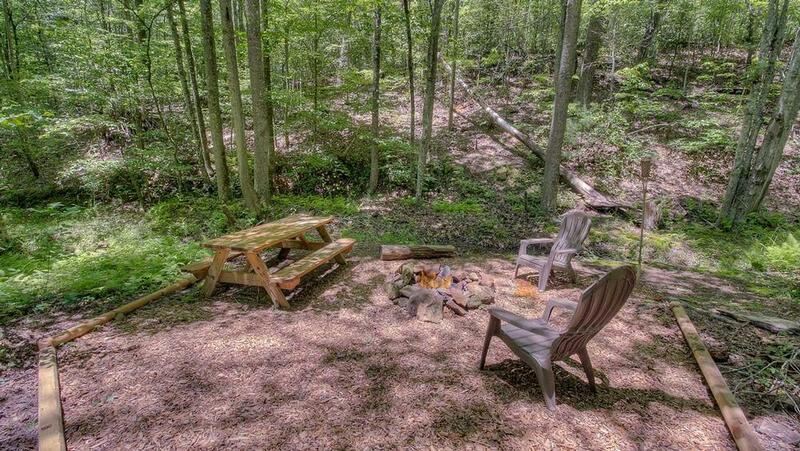 05/16- Loved the peaceful serenity of it's location yet not far at all from downtown Blue Ridge. 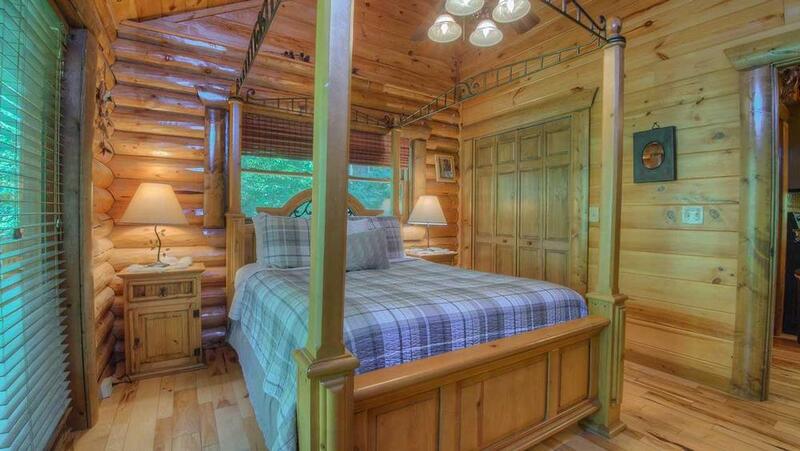 Loved the gas logs and the mattresses in this cabin. Also lots of DVDs available. Well appointed kitchen. Your staff extremely pleasant and helpful with booking of this cabin. And the extra touches of the way towels were displayed in each bedroom and the "welcome bag" were completely unexpected but oh so nice and thoughtful. Made us feel you really cared about our experience. We would love to do it all again soon. 04/16- We enjoyed the privacy. 04/16- This is a beautiful home. It was spacious, clean, and kid friendly. My kids enjoyed the game room and the various games available. We will definitely be back on our next family vacation. 03/16- EVERYTHING! The home was perfect, the spot was perfect.... just great. 01/16- Loved the outdoor living space and fireplace. The main floor is very cozy and comfortable. We liked the fact that it felt very private -- no next-door neighbors and lots of trees. Close to town, yet still felt far away. 12/15- We were very impressed by the quality of this cabin. The logs inside and out. Cozy fireplaces inside and out. Jacuzzi. 11/15- We loved the cabin, I am pretty fussy about housekeeping and I was not disappointed at all. There was a little problem when we first got to the cabin with linens but it was addressed right away. Lake Walk cabin was so cozy and perfect for us. I\'ve already given the web address and information to a friend at work. I\'d love to plan a trip in the summer for rafting and warmer weather activities. 10/15- The two gas fire places are convenient and work well. The closeness to town is a plus. This is the second time we have booked through ETB and could not be more satisfied with your attention to our requests and needs. Thank you. 10/15- Beautiful home! Had everything we needed. Made us feel like home.Great company. 09/15- The quiteness and peacefulness of the cabin.Truely a home away from home! 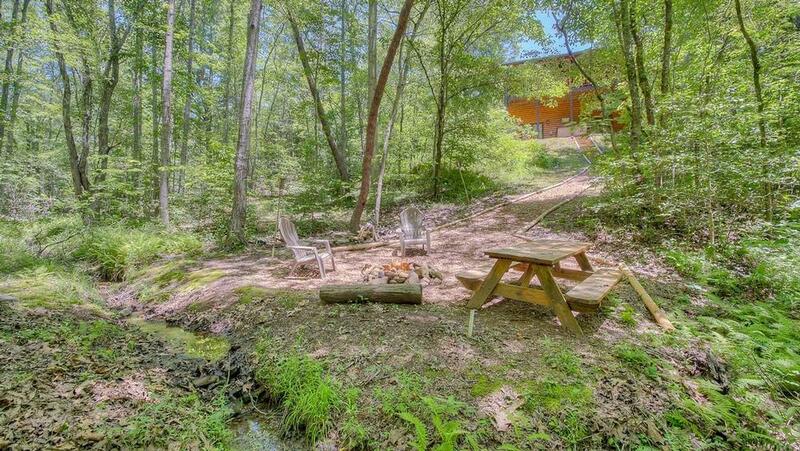 Escape to Blue Ridge is awesome! 08/15- We loved having the gas fireplace on the porch. We enjoyed the early mornings drinking coffee. 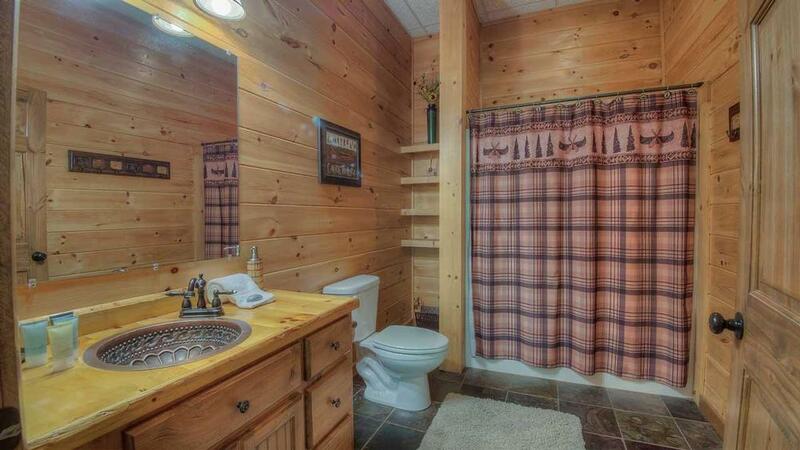 The cabin furnishing were outstanding!!! The kitchen was equipped with everything we needed. We had a great experience from your company! Will definitly use it again. 08/15- Lovely home, very spacious with lots of amenities. 09/15- The cabin had everything that we would need in my home. Everyone is so nice and very willing to help with directions and suggestions. 08/15- Warmth and coziness of the cabin. Impeccably clean and well decorated. Everything we needed was here. The kids loved the foosball/pool tables and making s'mores in the fire pit. 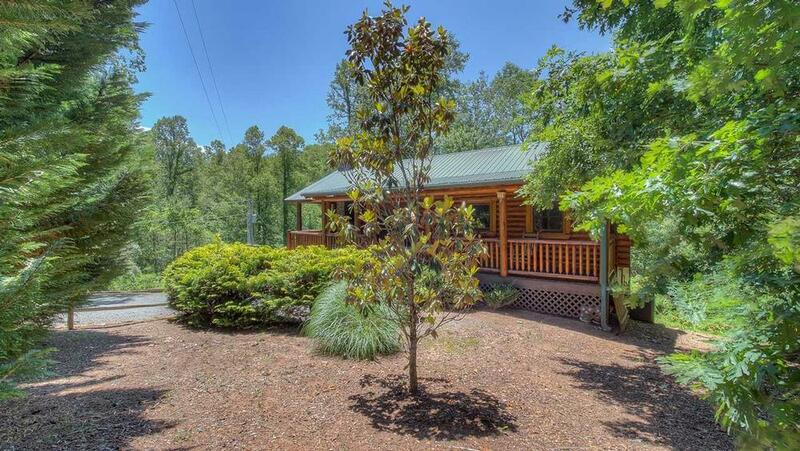 It's peaceful and feels remote, yet he cabin is close to town, lake, hiking, fishing and other area activities. We would definitely come again. The company was very responsive and easy to work with. Instructions/directions were on point, cabin was very clean and welcome gift was nice. 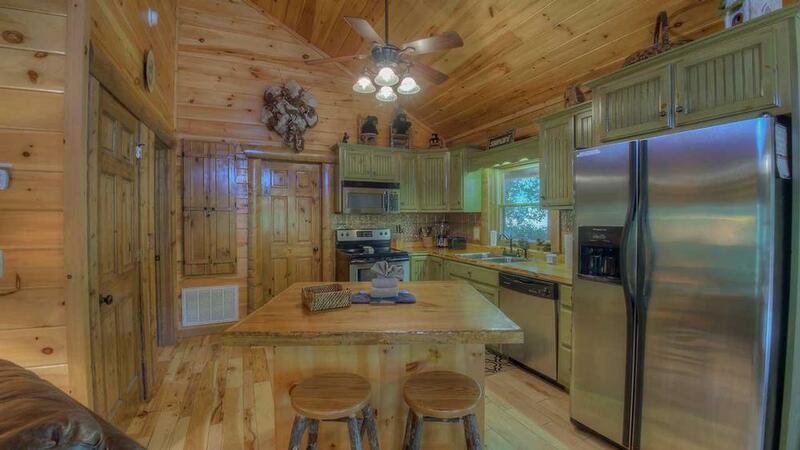 07/15- I loved the covered porches and the well equiped kitchen. 06/15- Close to lake and town. 06/15- Very nice, clean, modern. Convenient to everything in Blue Ridge. I won't rent from anyone else! You guys are the best!! Great communication and you deliver a great product every time (this is my 3rd or 4th time with your company). Only thing I would like is better representation of how far the lake or river homes are from the actual water either through pictures or through words. Still, your company is the best bar none! 05/15- Balcony having my morning coffee, fire pit, hot tub, games were favorite features. Very attentive when needed. 04/15- Beautifully decorated. Very comfortable. Loved the porch. 03/15- Pretty. Has everything you need for a perfect relaxing experience. Pics show larger spaces than real size. 02/15- Location to town is great. As a whole the cabin met our needs. The location was great. We had friends in a near by Cabin. 12/14- The location was great very easy to get to. It had all the amenities needed to be comfortable. The hot tub was wonderful. 11/14- The whole cabin was perfect for us. There was only two of us and the cabin was cozy and yet still had the game room and second bedroom, if needed downstairs. I think, if I had to choose one feature I loved it is the fireplace. One touch of the button and you have a fire! No messing with logs and ashes! 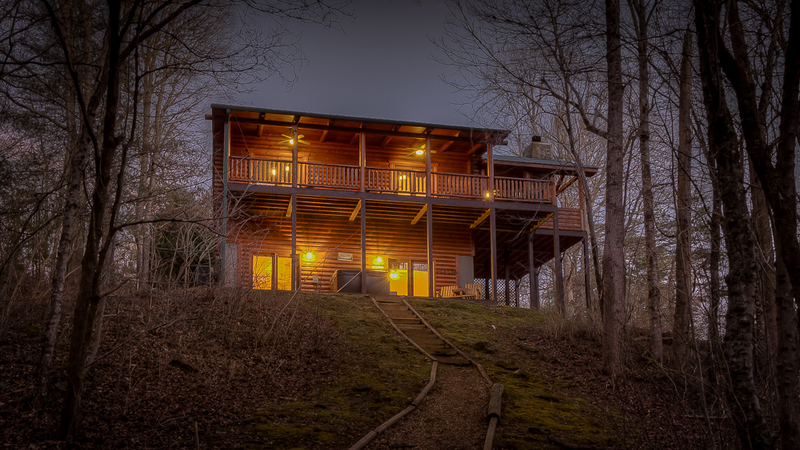 This is the second time choosing Escape to Blue Ridge for cabin rental. Each time the entire experience from deposit and on. The staff is pleasant, friendly, and helpful. 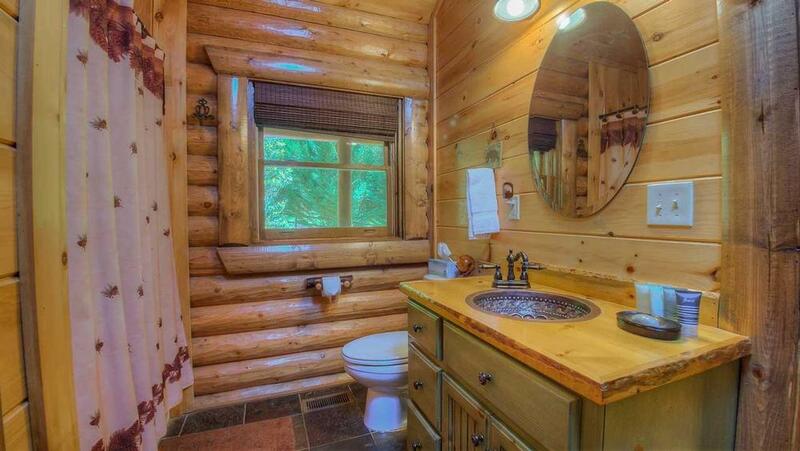 There are an abundance of cabins to choose from - whatever amenities you need or want. Looking forward to Autumn, 2015! If your gonna tea-cup candleholders it would be nice to have candles to go with them!! Did not care for main bathroom...bath/shower was cheap and slippery. 10/14- Loved the rockers on the porches, big screen TV, comfortable linens, and large refrigerator. The mountain decor and flooring on the main level was very nice. 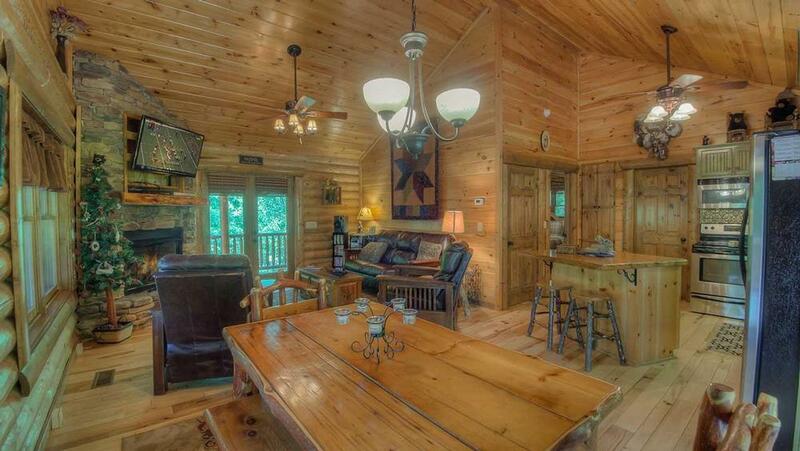 Owners have done a great job maintaining this cabin. We had a wonderful time exploring Blue Ridge as always and enjoyed seeing a live play "Whose Wives Are They, Anyway", taking our first ride on the train, hiking to water falls at Stanley Creek and Amicalola State Park. The burgers at Blue Ridge Brewery are excellent. 08/14- The outdoor fireplace and hot tub. The setting was beautiful and very private. The entire outside area was a favorite. We'll stocked kitchen. Folder with information on cabin and area very useful. Would recommend Lakewalk to anyone. Well cared for. Gorgeous Georgia area. Lots to do in Blue Ridge!